I’m moving at a snail’s pace this summer. It doesn’t help that I’ve gotten into those books….you know, the ones that were written for 13 year old girls yet are somehow strangely addicting and offer hours of mindless entertainment. 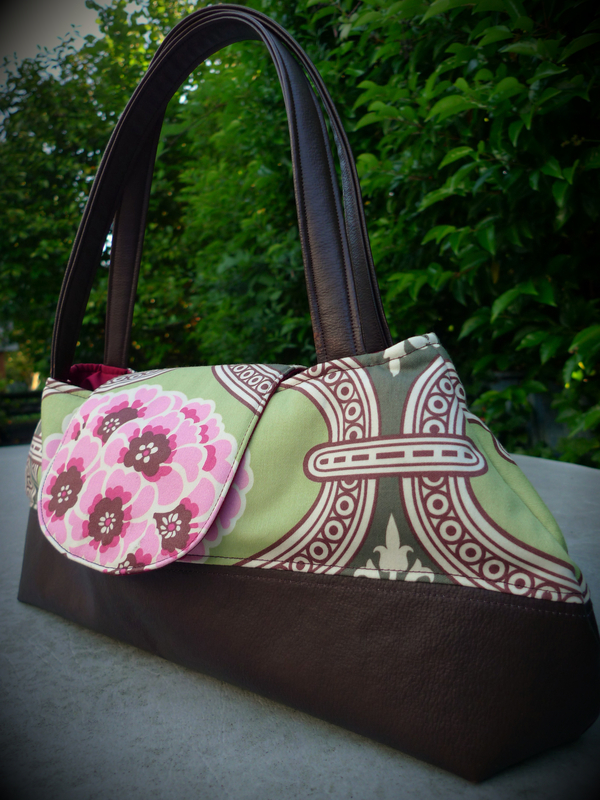 I made this Reversible Messenger Bag recently. It’s up in the shop if anyone is interested! I think the fabrics work well for a guy or gal, which is nice. 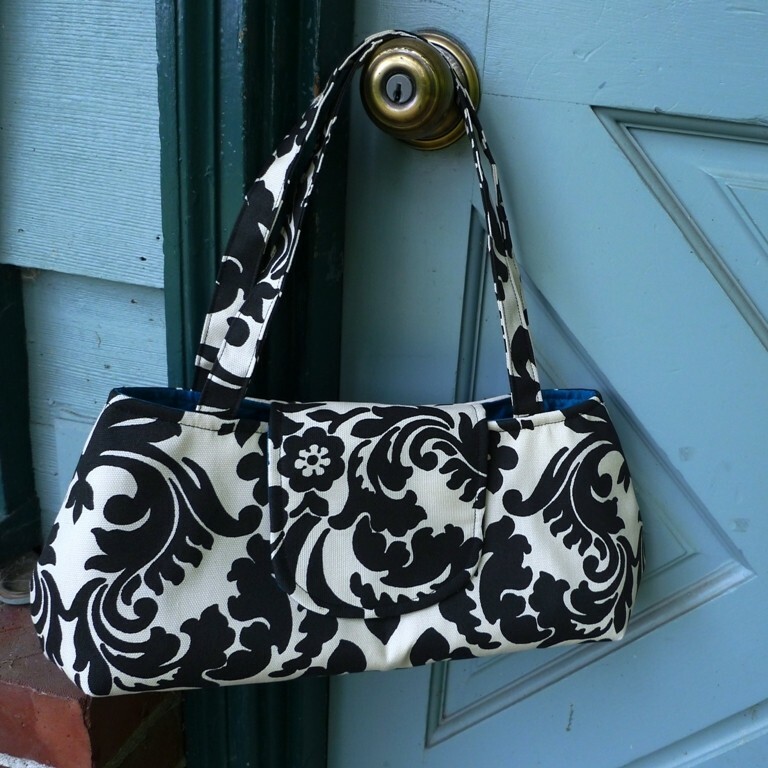 And who doesn’t love a reversible bag? Don’t you love that my tree has a face? I like to think he greets me each day I come home. I’m not sure where my aunt and uncle bought the face, but I found some online here after doing a quick google search. Introducing the Urban Satchel. 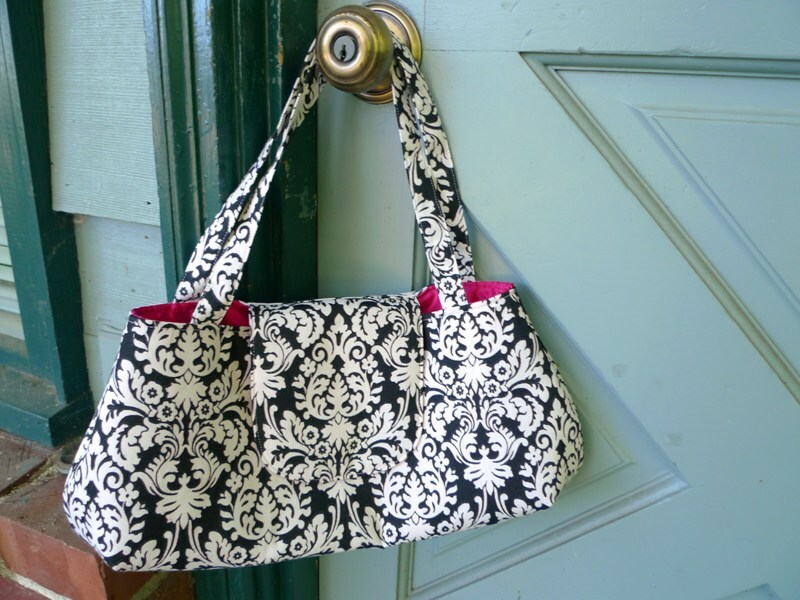 The Urban Satchel is the perfect purse for the savvy city dweller. Inside you will find a cell phone pocket and ample space to hold all things necessary for your day or night on the town. 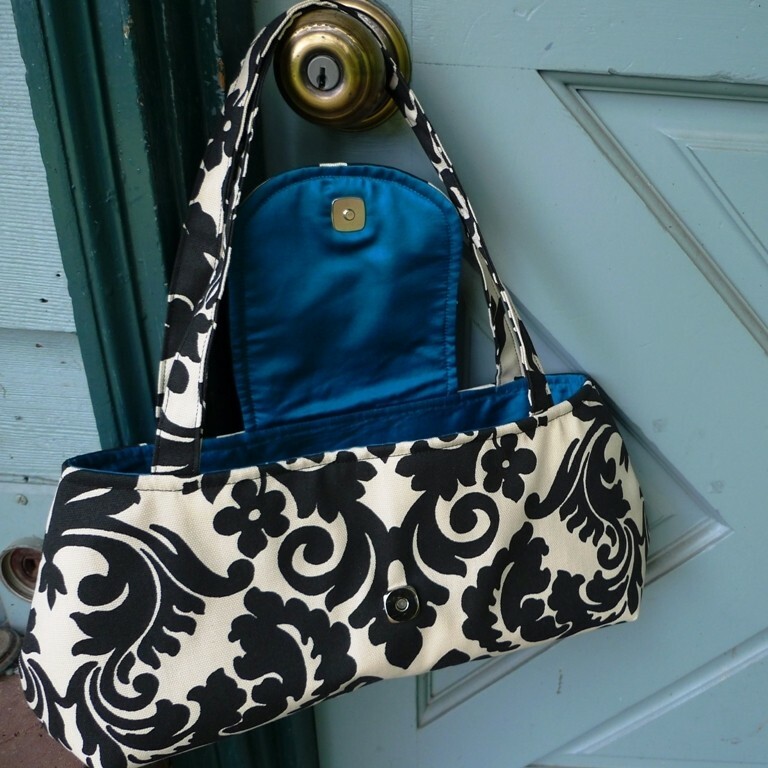 It closes with a chic squared magnetic clasp. 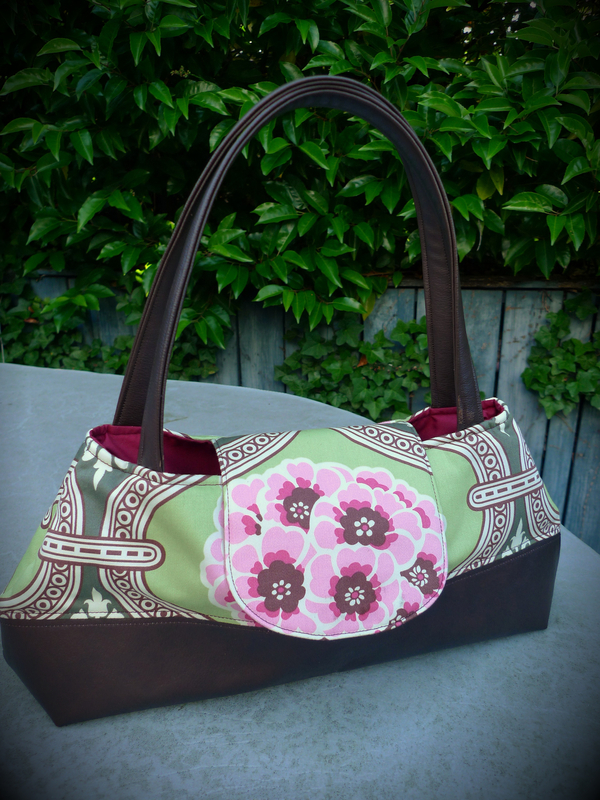 This purse is made from high quality Amy Butler fabric and a features a lovely faux leather bottom and handles. I have lined it with a maroon cotton fabric (darker in color than it looks). It has been generously interfaced to give it a structured form. 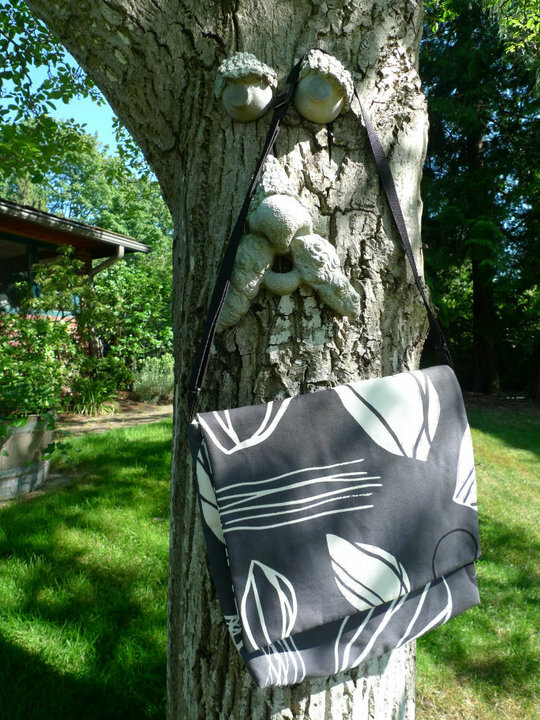 This purse measures approximately 15″ long by 6.5″ tall. It is about 3.5″ deep. 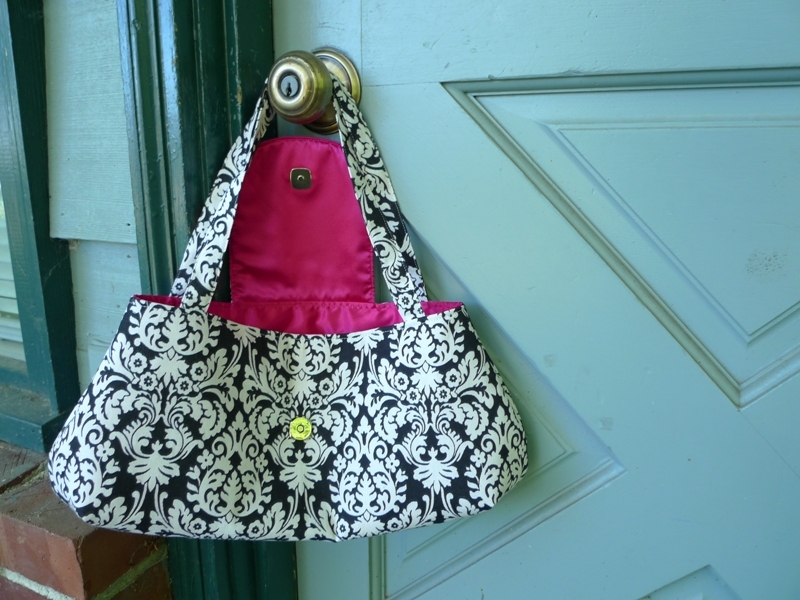 Contact me through Etsy if you are interested in a Custom Urban Satchel! Or, grab this one from the shop if you love it! 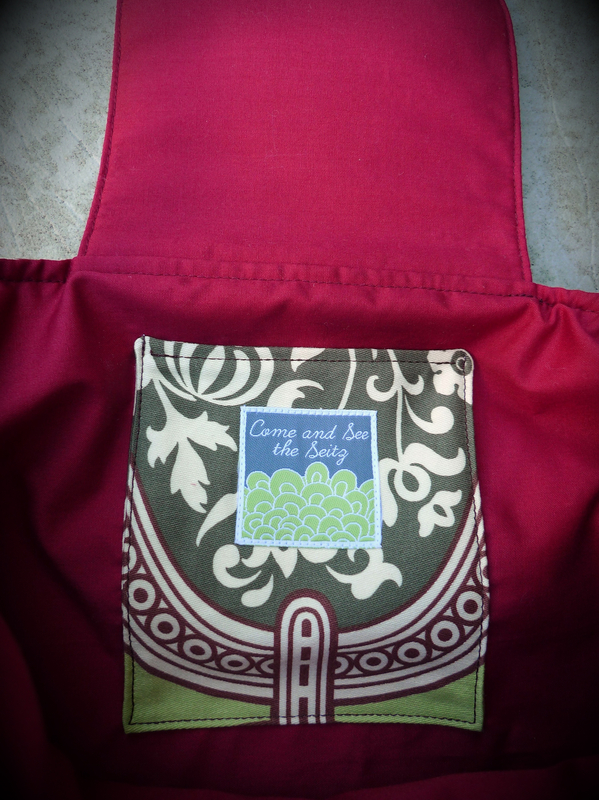 If you’re interested in a custom satchel, just send me a message through Etsy. This block is 16.5″, so it’s huge! Makes quite an impact though, doesn’t it? I love the mish-mash of colors and how they all come together so beautifully. I did absolutely no planning with the colors, I just grabbed a pair and sewed them together, hoping it would work out alright. I think it’s better that way, less calculated and more improv. 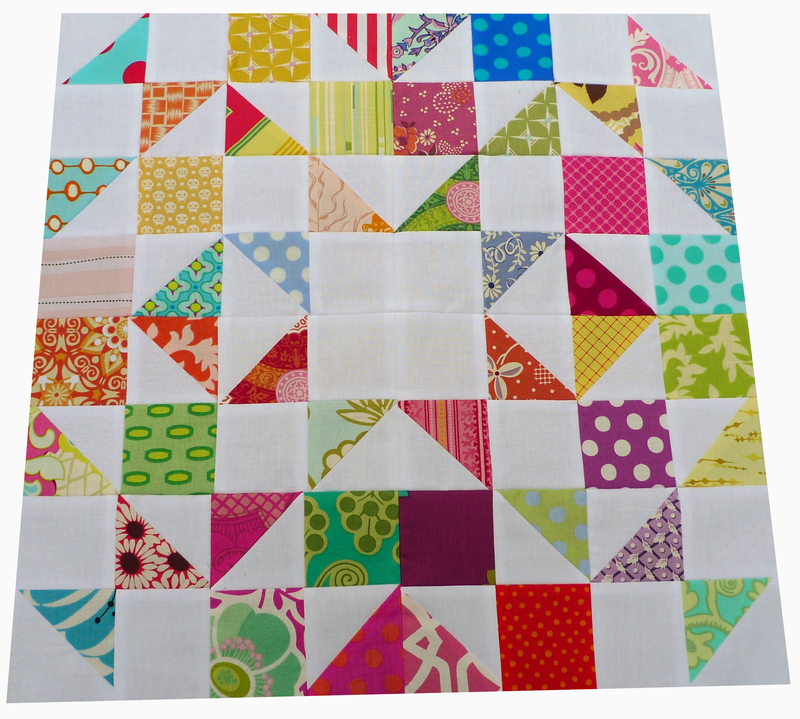 I can’t even imagine making a whole quilt though, this block alone must have taken me 5 hours! I hope you are all enjoying your summer, ours has finally come! This week it’s supposed to get to the high 80s, a rare treat for us Seattleites! I made this Minky blanket and let my nephew be the model (these pictures will be fun to show to him when he’s a teenager and anti-pink!). I’d say he looks pretty comfy, what do you think? I made the blanket out of high quality minky (fun zebra print on one side and a lovely pink rosette minky on the other) and I made a ruffle binding using ultra-soft Charmeuse Satin. It is a large blanket, measuring a 30″ square. And guess what? It’s for sale in my Etsy Shop! I’ve been fulfilling orders for friends for awhile now, so I thought it was time to officially open my shop. I now introduce you to my Etsy shop…. You can click the link above to get there, or see my new “Shop” page up at the top of my website (above my header) which will permanently hold the link. My camera broke on my last vacation, which is why my posts have been so few and far between lately. But, I hope to list more items soon. For now, feel free to request a Custom Item via Etsy if there’s something you’re interested in that you don’t see listed. In the next couple days or so I’ll also get some Hooter Hiders listed ($20 each). Thanks for sticking with me, despite the lack of pictures, and Happy Shopping!